I was in the midst of packing for my great adventure to Egypt traveling with Nickie Scully, Jane Bell and a group of like minded people. I had been invited to offer Sacred Sounds in the temples and the pyramid for this Shamanic Journeys tour. The week before I left I attended a Tom Kenyon workshop and he said at the end of the event if I could stay over he had information for me about the Egypt journey. So the next morning he gave me a personal reading about this journey and my ‘team’ of Hathors. Seems I was to be doing big work while I was there and to not be alarmed because I would be activated in remembering. So not only was I excited to be going Egypt but now there is a new level of possible happenings. A few days before I was to leave my friend Randy Masters gave me a small bag of green stones. He said that there was a lady Nellie who would like me to take them to Egypt as a gift. He shared that lady Nellie had found them years ago on her land in the High Sierras of Northern California. She had found them after a landslide caused by the strong winter rains or perhaps an earthquake. Nellie gathered some of the large stones whose structure resemble volcanic obsidian with glass-like in appearance. They range in shades from clear to dark in a variety of colors: green, soft clear blue, yellow, amber, and deep brown. In her home in the San Juan Valley she invited a gifted clairvoyant and channel to discover more about the stones. Thoth, one of the deities of the Egyptian pantheon come to her and said that the stones had been place there by the time walkers and that they were actually timeless stones. So I willing added this small bag of green stones to my packed luggage. I flew to Egypt and arrived at The Mena House Oberoi Hotel in Cairo. As I was unpacking the Andara stone and arranging them on a small table my new roommate arrive. “Hi, I’m Janice, a CEO for Wells Fargo Bank, that’s my day job, at night I work with the cosmic grids.” next she ask me why I was on this journey. I shared that I had been given a scholarship to offer sacred sounds during our adventure visiting all the sacred sites and I had brought these green stones to leave at all the temples. I am totally surprised as Janice suddenly falls back onto the bed, she sits up and reveals that two night ago she was awaken and was given some information from Thoth. We shared this revaluation with our group of twenty-four, our adventure and mission had begun. Many in our group remember making an agreement to do this work however I did not recall this for myself. However I was certainly willing and honored to be a part of this unfolding. So each day I would intuitively ask which stone wanted to stay at the temple we would be visiting. All I can say is that to me one of the stone would light up. I would take that stone and on our bus to the sacred site everyone in our group would hold it briefly and pass it on, until everyone had blessed the timeless Andara stone. Once at the temple site, Nickie would select a sacred place for our ceremony. Each person would place a precious object and together we would create our altar. This was where I placed the selected Andara stone. Nickie would lead us in a beautiful ritual and then indicate to me to offer my sacred sounds. 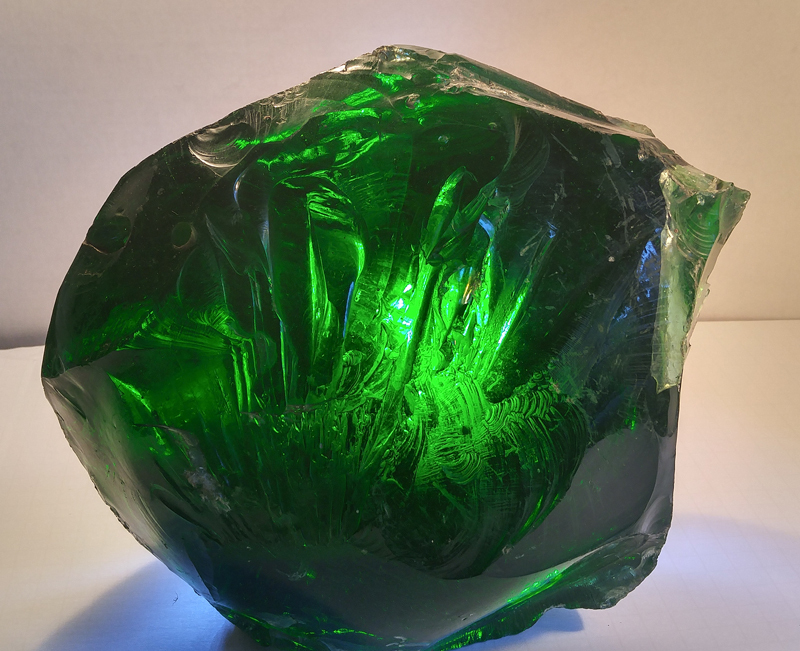 Once this was complete I would take the Andara stone and hide it behind some huge stone, or drop it into a crevice, so that no one would find it. This is the process that took place our entire journey through out Egypt. Each day this procedure was repeated at each temple or sacred site we visited. So the timeless Andara stones are hidden in the temples and Pyramid to this day. Hopefully the energetic portals were activated making the mysteries, ancient knowledge and wisdom available for our timeline to support and assist humanity in its expansion of consciousness. For those who can journey in spirit you can tap into what they are offering. This is just a very brief outline of this event and journey. Once I arrived home, Randy informed me that Nellie wanted to meet me. so I traveled a couple hours to her home. She was elderly and had difficultly moving about. I discovered that she had large piles of Andaras in her yard. She had hired young men to go to the location in the sierras, load them and bring them to her home, where they just dumped them. I was now very engaged with the energy of the incredible Andara stones. I wanted to help her make them available to others. So I offered to come once a month for the day with two of my friends and clean these stones and get them off the ground and onto tables and shelves. We made this commitment for an entire year. So once a month we traveled to Nellie’s and worked with all these awesome stones. I had inherited money from my parents and found myself each and every month buying hundreds or thousands dollars worth of stones. Best I can recall in total is was between twenty and thirty thousand over that year. I just could not stop myself. The stones spoke to me and Nellie needed the funds. 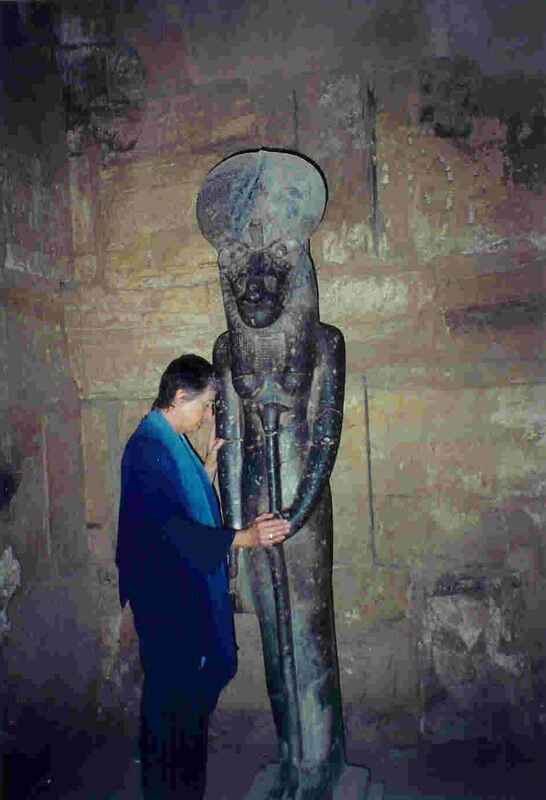 I became a seneschal (keeper) of the Andaras stones in 1999. Since that time I have make sure that the Andaras stones are offered to sacred sites around the world. So there is truly a energetic network of the beautiful beings. I was planning to attend an event presented by Tom Kenyon. 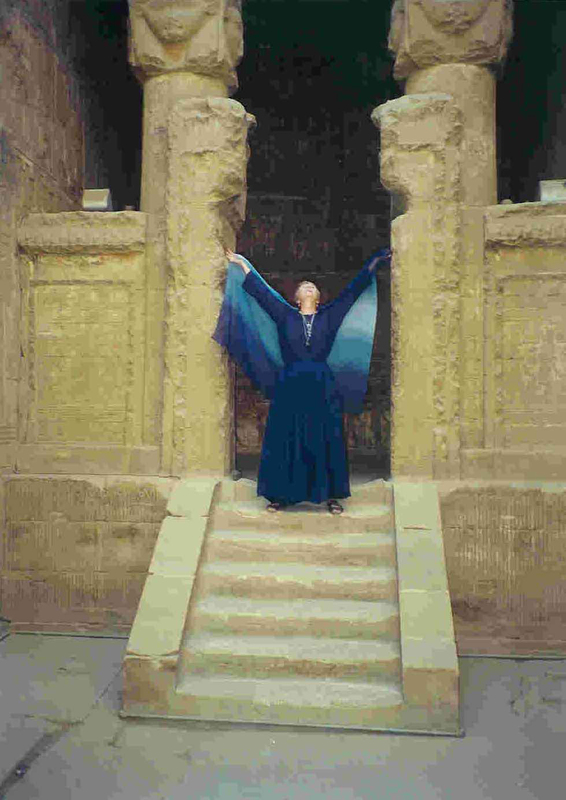 It was a Hathor Intensive called “Architects of the New Earth” in June of 2000 in Albuquerque, New Mexico. I was very excited about this trip because it would be the first time seeing my friend Janice since our adventure in Egypt with the Andaras. Since my return from Egypt, meeting Nellie and working with her and the stones, I had purchased a stunning thirty-pound Andara. As I was planning the trip to New Mexico I kept hearing, “I need to go with you.” I knew this request was coming from the stone. I certainly did not want to carry a thirty-pound stone on the plane. So each time I energetically heard this request, I declined. This request went on for days. As I was doing the last minute packing, this request was so intense that I could not ignore it. So I relented and found a carry-on with wheels and begrudgingly wrapped this big Andara in towels. Together we were going to the Tom Kenyon event. Luckily, airline security was not so intense at that time, so no one really questioned a woman bringing a huge stone in her luggage. I arrived without incident and prepared to go to the evening Ghandarva Ceremony. The stone reminded me again that it needed to go also, and at this point I was not questioning this request at all. I went downstairs where everyone was gathering. There seemed to be several hundred in our group. I unwrapped the Andara, cradled it in my arms, planning to show this stunner to Janice who has only seen thumb-size Andara stones. I walked in front of the stage where Tom was setting up for the event and he looked down and inquired, “Did you bring that stone?” I was a bit embarrassed; it is one thing to take a few personal crystals and stones when one travels, however they are not usually thirty pounds. So I said, “Yes, I brought this stone.” He replied, “Oh good, the Hathors told me someone would bring a stone to anchor the altar.” At this point I handed him this amazing Andara being. It was to grace the altar the entire time. To my dismay I realized what that meant. At this point I realized that something bigger than me was happening. I went to housekeeping and asked for a hammer. That night after dinner, I laid a towel on the tile floor in the bathroom, and began to break the small stones into even smaller pieces. I cried the entire time I was doing this; it was personally so painful. I counted the small pieces as I placed them in a beautiful crystal bowl I had also acquired from housekeeping. The next day for the closing ceremony, a special altar was created upon which the large, magnificent Andara was placed. Beside it was the crystal bowl of small sundered stones. There was also a bowl of rose quartz crystal hearts for everyone. As Tom offered the channeled sounds from the Hathors, each person filed by the special altar and touched the center of the large Andara which, incredibly, has the soft imprint of a left hand. This touch activated their heart and then they selected a small Andara stone to keep. I share this story with you because it is so outrageous and so wonderful; it certainly stretches the logical mind. Yet I know there are those who understand because they also experience things of this nature. I often meet people at Tom’s events that tell me they still have that small Andara stone on their personal altar.